The clue is in the title, but Spinit Casino is really all about those spinning slot games. In total there are more than 1,300 games on this site to choose from, so you know that they mean business. 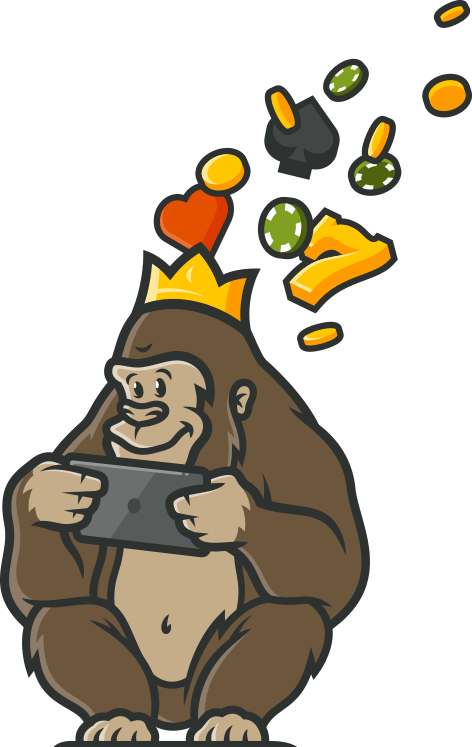 The Casino Gorilla loves a good slot game as much as the next ape, but he was glad to see that there are other gaming options available on the site too. This casino is run by experienced operators so it’s not a surprise to find a slick, visually impressive and well-stocked online casino here. 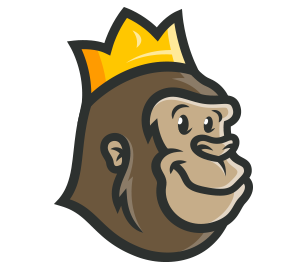 Spinit Casino asks their players to ‘consider us your one stop shop for all things spinning’ and the Casino Gorilla is going to see whether this casino lives up to its promise. The Casino Gorilla’s fur starts to bristle when he sees a dodgy welcome bonus. If you are welcoming new players to your casino, then you should get off on the right foot. Luckily, Spinit Casino passes the smell test as far as their welcome bonus is concerned. They advertise £1,000 plus 200 free spins, and while the offer is not quite as good as that makes it sound it’s still not bad. To get the full £1,000 you would need to deposit a total of £3,000 over your first four deposits, and let’s face it, that is not something that everyone can afford. No matter though, as you still get a bonus for any deposit of more than £10 so it’s still a pretty good deal with a reasonable wagering requirement of 40 times the bonus. Free spins offer slot gaming fans the opportunity to win with house money – what’s not to like about that? When you sign up with Spinit and make your first deposit of at least £10 you will get 200 free spins on the world-famous Starburst slot. These come in bundles of 20 per day for ten consecutive days. After all, Spinit want to make sure that you keep coming back to play! At 12GMT you will find your next 20 spins waiting for you, so don’t forget to log back in as if you skip a day then you will lose those spins. And who knows, they could be the ones to pay out big time. Be warned though, the maximum you can withdraw from free spins winnings is £100, which is a slight disappointment. You also need to wager those winnings 40 times before they can be withdrawn. While players will not need to enter a bonus code to take advantage of the initial 100% welcome bonus, you will need to do so in order to get the subsequent three bonuses. Do not forget to enter those codes – it is such a rookie mistake to miss out on a bonus when you deposit and forget the code. So, those all-important bonus codes: when you make your second, third and fourth deposits remember to add the codes WSPINIT2, WSPINIT3 and WSPINIT4. The first deposit bonus can be selected using the dropdown menu, but after that if you don’t enter the right codes then you don’t get your follow-up bonuses. A casino without a great selection of live dealer games can never be counted among the best. No worries on that score with Spinit though. There are over 40 live casino tables to choose from, which should be more than enough for even the most avid live gaming fan. The Casino Gorilla was particularly impressed by the huge number of different roulette, blackjack and baccarat tables. No matter how much you like to bet at the table, there will be a table to suit you here. To those long-time favourites can be added Dream Catcher, 3 Card Poker, Football Studio, Hold ‘Em, Stud Poker and Dragon Tiger. Spinit even offer games broadcasting live from the famous Dragonara Casino in Europe’s gambling hub: the beautiful Mediterranean island of Malta. It is estimated that around 70% of online gamblers choose to visit casinos or sports betting sites via their smartphones or tablets. Spinit Casino is perfectly adapted to cater to those players, with a fantastic mobile gaming experience on offer. There are hundreds of games to choose from when you are playing on the move, and they do not suffer from being played on the smaller screen. It doesn’t matter whether you prefer Apple or Android, you will still be able to enjoy fast-paced gaming action on your phone. No need to download an app, just enter spinit.com into your phone’s browser and start spinning those reels or playing casino table games. Spinit Casino does not go overboard with obscure payment methods, but it offers more than enough options to suit most people. It also goes to the trouble of laying out all the available options for both deposits and withdrawals in a handy table. This shows you information about fees – (there aren’t any) – as well as processing times and minimum and maximum transactions. The available options include debit and credit cards, electronic wallets, vouchers and bank transfer systems. Minimum withdrawal is £10, while the maximum per transaction is £2,300. Before you even think about joining a new casino, the Casino Gorilla recommends that you scoot down to the bottom of the casino site to look for its license. Spinit has got two of them, from Malta and the UK, which are two of the best in the business. SSL connections are used for all information exchanges so that they are encrypted and cannot be breached. All payments are PCI Compliant and the site is constantly scrutinised by the regulators to make sure that they keep to the highest standards of security and fairness. If you have any questions about this casino, then your first port of call should be the well laid out FAQ section. Here you will find lots of answers on common queries. If you do ned to get in touch with the site directly, you can do so via live chat, email or via the international phone line. You will be put through to Spinit’s Malta base where a highly trained support staff will be able to assist you with any queries. The live chat and phone is not manned around the clock though, so if you are trying to contact them outside the hours of 8AM and midnight you will need to do so via email. Australia, Colombia, Cuba, Denmark, Spain, France, Georgia, Hungary, Israel, Italy, Cambodia, Montenegro, Nigeria, Philippines, Pakistan, Portugal, Romania, Slovenia, Thailand, Turkey, Ukraine, United States Minor Outlying Islands, United States, VietNam. Spinit Casino is a bright and modern casino which is mobile-friendly and aimed at the millennial generation. There is nothing fussy or pretentious here, just a fresh and fun way to enjoy some casino gaming. There is a rewarding welcome bonus as well as a VIP section for those high rollers. The live casino section gets top marks and everything about this casino is well thought out, making it easy to find what you want without any problems. Started with just a few free games and was hooked. The welcome bonus is great and I was able to withdraw winnings quickly. There are some nice ongoing offers too, so I can increase my account balance and enjoy more games. One of the fastest withdrawal times using eWallets in my experience. The welcome bonus was quite attractive, they match your first deposit by 100% up to £1000 and also gives you free spins. Overall, very impressed with the whole experience. A smooth and hassle-free online gaming experience.